A couple of books hit the doorstep today here at Casa Partridge. When I cracked the covers, it turned out that both of them were dedicated to me... and by a couple of very fine writers. 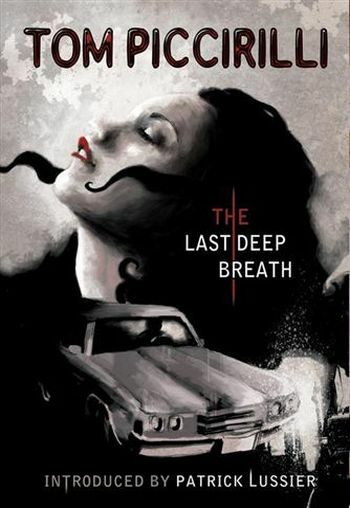 First up is Tom Piccirilli's new one from Tasmaniac Publications, The Last Deep Breath. 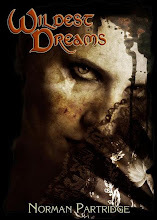 This is another in a series of what Pic's calling noirellas, dark crime tales that aren't quite novel length but weigh in heavier than short stories. 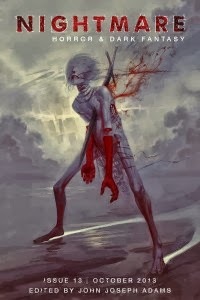 I've enjoyed every one Tom's written to date, and even had the pleasure of writing the introduction to The Nobody, an unforgiving hunk of noir that approximates (in fictive terms) the result you'd get if you set to whittling a human heart that won't stop beating until the last midnight shadows fall. 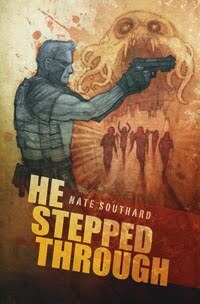 Coming up next is Nate Southard's new one, He Stepped Through from Bloodletting Press (looks like the book itself is now out of print, but an ebook is still available). Nate's the writer who wrote the rockabilly riot of a vampire story I mentioned last week, and he doesn't waste time with this one, kicking his mash-up of crime and Cthulhu-ania into gear from jump. I love a guy who doesn't mess around and answers the bell with both fists flailing, and that's the way Southard writes. I have a feeling I won't hit the sack tonight until I polish this one off. Anyway, thanks for the dedications, amigos... and the inscriptions. They warm my heart, and I'm having a little bit of a Frank Capra/George Bailey moment sitting here with these books tonight. Which is way past odd, considering they're a couple of dark burrows of noir and horror -- but, hey, I guess in a strange way that stuff can make for a pretty wonderful life, too.